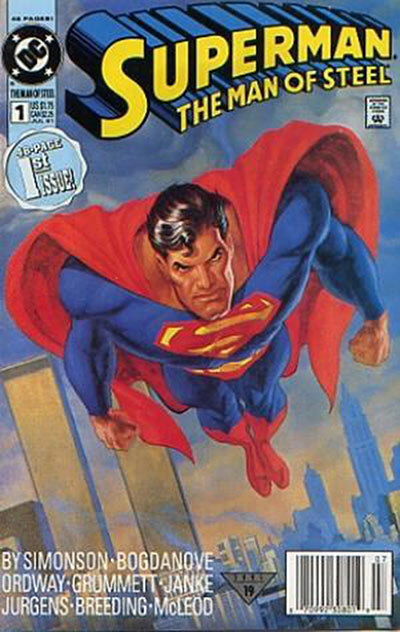 Superman: The Man of Steel is a monthly American comic book series that ran 136 issues from 1991 to 2003, published by DC Comics, featuring Superman. 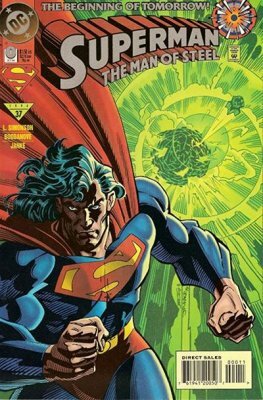 As a result of introducing this series alongside its already existing titles, DC Comics was able to publish a new Superman comic each week. 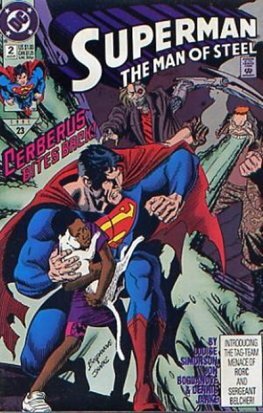 Included in these 136 issues were two special issues: #0 (October 1994, published between issues #37 and #38) and #1,000,000 (November 1998, published between issues #83 and #84), which were tie-ins to Zero Hour: Crisis in Time and DC One Million. Simonson - Bogdanove - Janke - Oakley - Whitmore - Thorsland - Carlin "The Kid Who Talks to Superman"